Come and pick them up in Brussels or maybe we can have LP’s delivered to your city (through friends). Mail orders possible too, just send us a mail to ask for shipping. first off, check our special webshop for all Rebel Up Records releases or our Bandcamp label page for digital, since here below is the distro section for other labels only. Rebel Up SebCat’s own recorded & selected Rajasthan Street Music 2LP, out since March 2014 on US label Sublime Frequencies. or digital release here. northern Ghana electro folk & dancehall hybrids! Latin Jazz & Descarga from the basque country with Cuban & Chilean touches! new single of Derya Yildirim, 2 amazing psychedelic Turkish folk tracks! dark grimey footworky bass sounds > only 1 left! Congotronics Vinyl Boxset, Limited Edition > 90 € only 1 in stock! The box set includes 6 LPs, 1 7″, a re-usable Congotronics USB pen drive with videos & mp3s and a book. short folky compositions & alt country songs by US/Bxl musician McCloud! 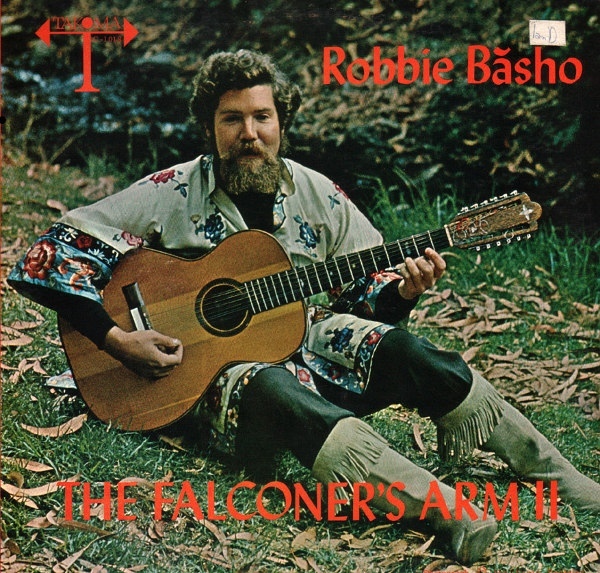 new Sublime Frequencies, Akuphone, Mississippi Records, Little Axe, Buda Musique, other labels and also some re-stocks! 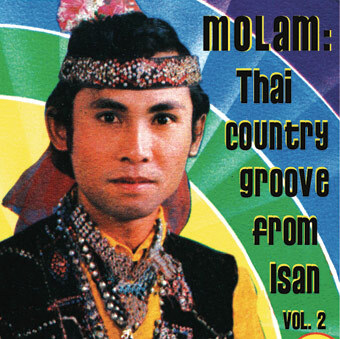 3rd EP of Thai-Dutch band, electro molam dub music. liimited edition hand-stencilled cover! Baba Commandant – Siri Ba Kele > 18 € only 1 left! new album by the Burkinabé mandingo rocking band! Senyawa – Sujud > 18 € only 1 left! new album of Indonesia’s ritual folk doom duo! Deben Bhattacharya – Paris to Calcutta (book/cd) > 50 € ONLY 1 copy left! super melancholic guitar fuzz from Zambia! Malian funk, 1st album where a young Amadou & Mariam sing! ritual funeral gamelan music, amazing drones & melodies! mix of Congolese Braka, Reggae & Afrobeat recorded in 80’s by an Afropean boxer! duo of electro acoustic Arab-Perian sound! beaty synth pop songs from Laos! ONLY 1 complete serie left! 2nd album of South Arican township afrobeat sensation BCUC! maloya master Waro finally on vinyl! prodigy of Danyel Waro, maloya young wave! classic release from the Zanzibara serie on Buda Musique reissued on vinyl for 1st time! raw Haitian voodoo meets Bxl industrial electronics, smasher! Divine Horsemen – The Voodoo Gods of Haïti > 18 € > ONLY 1 LEFT! Recorded by Maya Deren in 1977 after her mythic journey to Haiti, with voodoo ceremonies and festivals conveying the invocative power of the ritual drumming and singing. Limited edtion, with silkscreen cover. Morena y Clara – No Llores Mas (Pharaway Sounds) > 20 € ONLY 1 LEFT! Felix Blume – Death In Haïti: Funeral Brass Bands & Sounds from Port-au-Prince > 18 € > only 1 left! Recorded by sound artist Félix Blume in 2016: 15 dead, 15 funerals, 16 funeral processions with brass bands, lamenting vocals and remembrance jokes. Kaleidoscopic radio play inspired by the traditional Japanese art of Mingei. mixture of Turkish new age music, film and theatre scores from 1983-1994, limited to 150 copies! compilation with 80’s electrowave ONLY 1 LEFT! VA – Oté Maloya 2LP > 22 € only 1 left! The Kondi Band – Salone 2LP > 20 € only 1 left! Orchestre Les Mangalepa – Last Man Standing 2LP > 18 € only 1 left! funky rumba soukous from Kenya! Si Daty & Mounina – Ida Haka 7″ > 30 € very rare single! Ghana afrobeat psyche from 1979! Tiago Sousa – Um Piano Nas Barricadas > 15 € ONLY 1 LEFT! freejazz, improv and krautrock from Libanon. out there. Spagguetta Orghassmond – La Vicina 12″ EP > 11 € ONLY 1 LEFT! Charleroi tropical trash disco funk band, insane stuff. 2LP of early bubblegum kwaito house from the 90’s, roots of kwait & gqom! V/A – African Scream Contest 2LP > 23 € > only 1 left! pure & raw qawwali sufi folk! Malagasy folk sounds, with valiha, accordeon etc. Cambodian Cassette Archives 2LP BACK IN STOCK > 25 € only 1 left! V/A – Choubi Choubi: Folk & Pop of Iraq Vol. 2 > 25 € only 1 left! Koudede – Guitars From Agadez vol.5 7″ > 8 € only 1 left! Tilahun Gessesse – Sima! > 17 € only 1 left! S.E. Rogie – Sounds of S.E. Rogie > 17 € BACK IN STOCK only 1 left! Guess What – Al-Khawarizmi LP > 15 € Back in stock! afro latino / mandingue sound from Senegal! cult label from Lisboa, with electronic releases by young Afro Portugese producers, some who have played at our Afro Tuga parties. LP’s are always printed in limited editions with hand stencilled covers by designer Warcio. Afro Tuga power, puxa! classic cult record of chicha cumbia, from the early 80’s, read all about it here. V/A – Ethiopian Hit Parade Vol.1 > 15 € only 1 left! Salah Ragab & The Caïro Jazz Band – Egyptian Jazz > 13 € ONLY 1 left! Teda-Tibesti > 15 € (Chad & Libya, 1965-69) ONLY 2 left! Humbi & Handa – Angola > 15 € (Angola, 1965) a few copies left! gorgeous bamboo flute music from Martinique! Chiemi Eri – S/T > 15 € only 1 left! solo LP by keyboard player of Omar Souleyman, wild arabic rave energy! Native North American Vol. 1: Aboriginal Folk, Rock & Country 1966-1985 3LP Box set > 35 € ONLY 1 left! Also some beauty from Mali! Rough kologo lute music from Northern Ghana! The Secret Museum of Mankind Volume 1, Vol 2, Vol 3 (pic below) & Vol 4 (Central Asia) all 2LP- (20€) > SOLD OUT, order by demand. Adnan Othman – Bershukor: A Retrospective of Hits by a Malaysian Pop Yeh Yeh Legend 2LP 25 € > only 1 left! oma333 is the awesome eclectic cassette label by the in Stockholm residing Gavin Maycroft, yeah! in very limited copies…. Sloow Tapes (Belgian cassette label with good weird/folk music or spoken word) all limited edition! some listening links below.